Last weekend, I was out exploring the Toronto-Mississauga border. I have a few thoughts about suburban transit projects like the Mississauga Transitway and as I have time, I’ll post those here. Yes, Toronto is the capital of Ontario; that’s what they teach childen in Grade 2, along with the other provincial and territorial capitals of Canada. But surely, a city of three million people that’s known for its talent, creativity, and diversity can come up with something better than this uninspired sign, which is found at many, if not most, entrance points to the city. The welcome sign would even better off without the “Ontario’s Capital” tab. 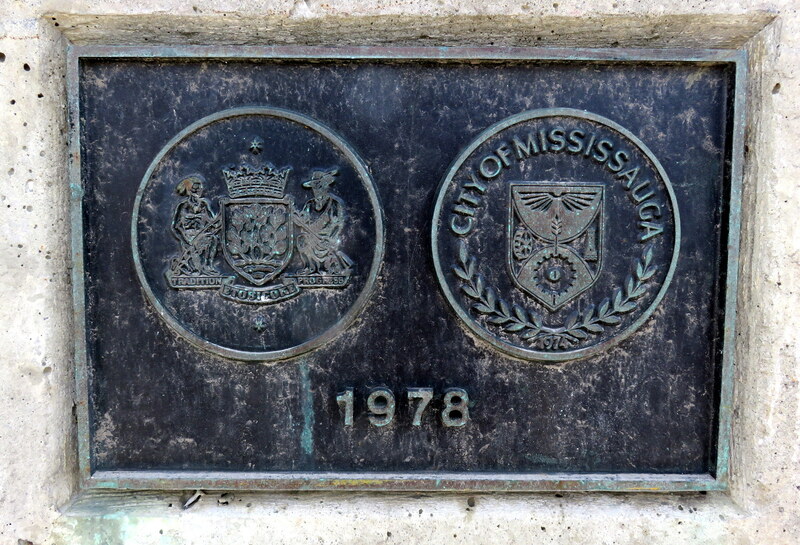 But while I was walking on the Etobicoke Creek bridge — a hostile environment as any for a humble pedestrian — I noticed this plaque, marking the border between the City of Mississauga and what was then the City of Etobicoke. The bridge was built in 1978, but is being widened to support a new bus rapid transit project. This section of Eglinton is built for cars, but it is only as a pedestrian that you can spot this sort of detail. In 1978, Etobicoke’s motto was simply “Tradition and Progress” while Mississauga’s crest didn’t sport a motto. Today, signs welcoming you to Mississauga say “Leading today for tomorrow, a rather boastful, yet meaningless slogan. This entry was posted in Toronto and tagged Mississauga, Toronto, Welcome Sign. Bookmark the permalink.